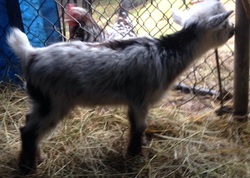 D1, 4 lbs, Doe back to breeder, thank you Anita! 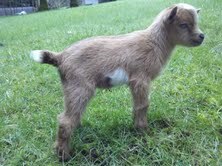 D2, 3.25 lbs, Doe back to breeder, thank you Anita! D3, 3 lbs, Doe sold, Thank you Taylor! D4, 2.75 lbs, Doe sold, Thank you Pam! 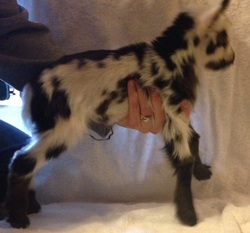 D5, 3 lbs, Doe sold, Thank you Pam! D6, 3.25 lbs, Wether sold, Thank you Gene! D8, 3.75 lbs, Buck sold, Thank you Judy! D9, 3 lbs, Doe sold, thank you Gene! D11, Doe deceased at 24 hrs old after born not breathing and being resuscitated multiple times. 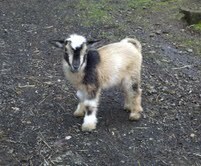 D12, 5 lbs, Buck sold as a wether, Thank you Mark and jennie! D13, 3.5 lbs, Doe sold, thanks Brenda! D14, 3 lbs, Doe sold, thanks Holly! D15, 2.5 lbs, Doe Sold, thanks Brenda! D16, 4 lbs, wether Sold, thank you Mike! D17, 3.25 lbs, Doe Sold, thank you Mike! Pecan Hollow PS Perfect Design came to us already bred. Her kids are sold unregistered since the sire was unregistered. D26, 4 lbs, Buck sold, thank you NH!